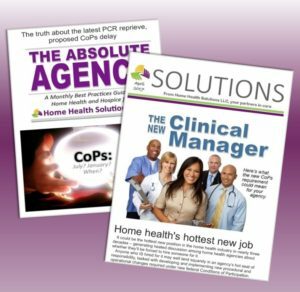 Want to keep up with the home health industry topics of interest as well as news about products, services and solutions offered by Home Health Solutions LLC? 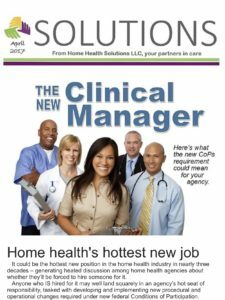 Sign up for our FREE monthly e-newsletter, SOLUTIONS. 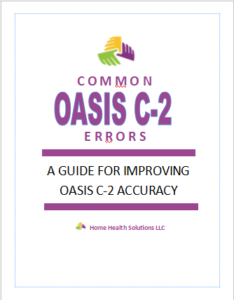 This free report is delivered straight to your inbox the second week of each month. It’s a great way to stay in the loop regarding all the solutions we offer to make your job easier. Sign up for SOLUTIONS now, using the form below . HOME HEALTH CODERS, are you looking for our weekly email specifically for home health coders, with free coding tips and a link to our weekly Coding Quiz with a coffee giveaway? That’s THE MONDAY FIX. Click here to sign up for it. ADMINISTRATORS, are you looking for our new best practices guide for agencies? That’s THE ABSOLUTE AGENCY. Click here to sign up for it.